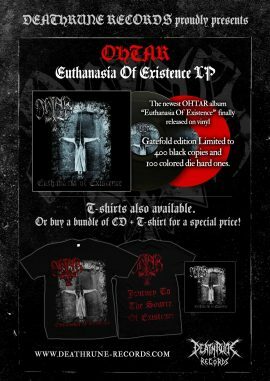 Deathrune | OHTAR – “Euthanasia Of Existence” LP OUT NOW ! 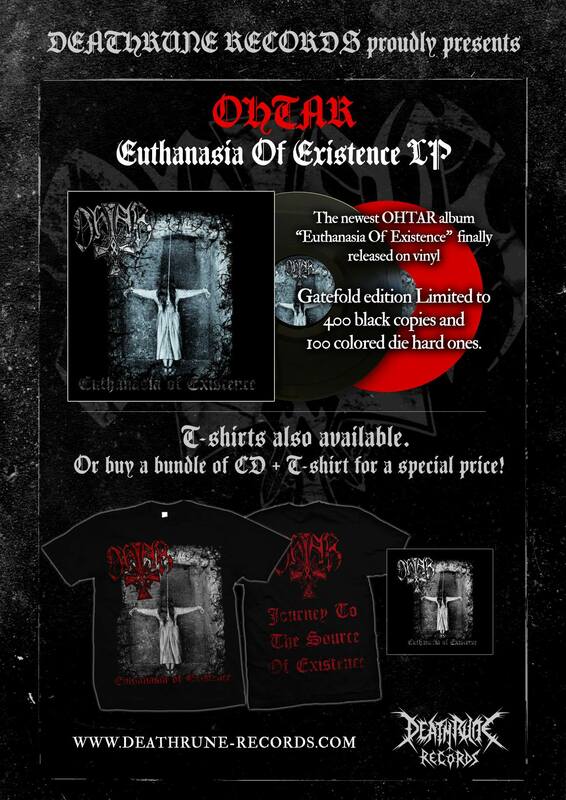 OHTAR – “Euthanasia Of Existence” LP OUT NOW ! The newest Ohtar album “Euthanasia Of Existence” finally released on vinyl. Available in gatefold edition limited to 400 black vinyls and 100 exclusive die hard ones. Or get a bundle of LP + T-Shirt for a special price. 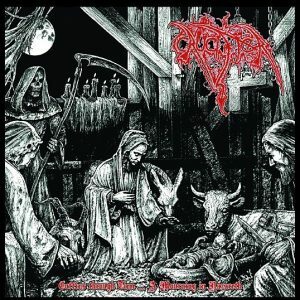 BLACK BLOOD INVOCATION – Black Blood Invocation MCD OUT NOW !CRUCIFIER – “Coffins Through Time…A Mourning In Nazareth” CD OUT NOW !